NEW YORK and PARIS, Sep 1, 2015 – AdaCore, the leading provider of commercial software solutions for the Ada programming language, today released a freely downloadable version of its GNAT GPL Ada cross-development environment for the Raspberry Pi 2 micro-PC running Embedded Linux. With this new cross-development environment, professors, students, hobbyists and others can take advantage of Ada 2012’s reliability, safety and security benefits for their Raspberry Pi 2 applications. With the release of GNAT GPL for Bare Board ARM in 2014, an implementation on the Raspberry Pi 2 running Linux on ARM was a natural follow-up. It reflects AdaCore’s ongoing commitment to the Ada community to provide freely available Ada implementations for developers of nonproprietary software. Fully featured releases of this GNAT technology are also available for GNU Linux, Mac OS X, Bare Board ARM, and Windows. The Raspberry Pi 2 Model B is the second generation Raspberry Pi, released in February 2015. The 900MHz quad-core ARM Cortex-A7 CPU increases the performance almost 6 times, and the 1GB LPDDR2 SDRAM accommodates larger and faster systems. 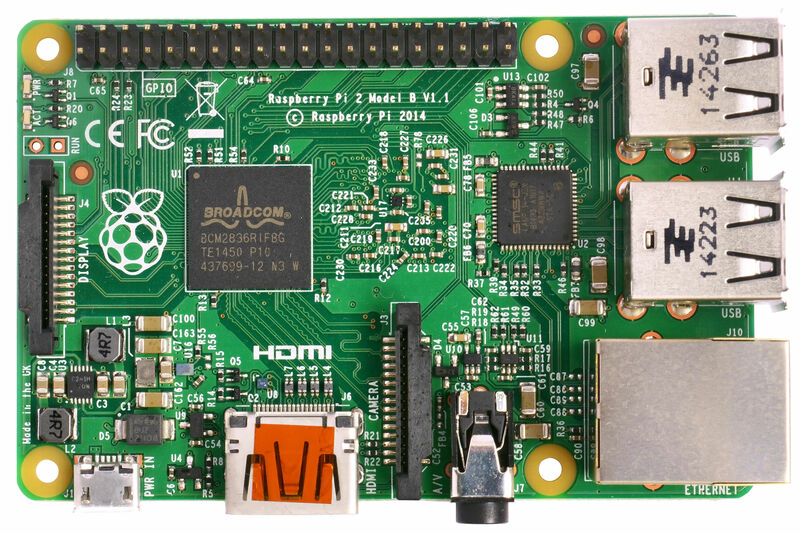 The Raspberry Pi 2 Model B retains the various interfaces of its predecessor, such as 4 USB ports, 40 GPIO pins, a full HDMI port, and an Ethernet port. With its low cost / high performance advantages, the Raspberry Pi 2 is an attractive choice in many kinds of systems including Internet of Things (IoT) applications.